Follow the included links to learn more about the listed opportunities: descriptions, important dates, how to apply, and eligibility. The purpose of the U.S. Department of Homeland Security (DHS) Summer Research Team (SRT) Program is to increase and enhance the scientific leadership at Minority Serving Institutions (MSIs) in research areas that support the mission and goals of DHS. 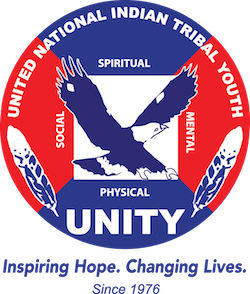 Earlier this month, the National UNITY Council Executive Committee (NUC EC) hosted their retreat at the Spirit Mountain Casino in Grand Ronde, Oregon. The NUC EC engaged in numerous topics including campaign building discussions and strategies. The trainings were led by UNITY facilitator and former NUC Executive Committee Co-President, Juanita Toledo. Native American students at Virginia Tech recently celebrated Native American Heritage Month in Blacksburg, Virginia with UNITY’s Executive Director Mary Kim Titla,Native American students at Virginia Tech, in Blacksburg, Virginia, recently celebrated Native American Heritage Month with UNITY’s Executive Director Mary Kim Titla, San Carlos Apache. Titla, a featured speaker, spoke about her Apache heritage, which includes being a descendant of three Apache Chiefs – Chief Talkalai, Chief Black Water and Chief Red Whiskers. Born and raised on the San Carlos Apache Reservation in southeastern Arizona, she challenged students to research their lineage and to be proud of who they are. Raven Dial Stanley, 19, enrolled member of the Lumbee Tribe and current Miss Indian North Carolina, recently received a “Woman to Watch” award at the American Indian Women of Proud Nations Conference held last month in Clinton, North Carolina. Dial-Stanley was one of 10 recipients and the youngest to receive the award. She’s been active with One Spirit Youth Council, a UNITY affiliated youth council. Dial-Stanley is attending the University of NC at Greensboro where she is majoring in Consumer Apparel and Retail Studies.